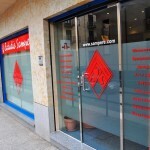 Estudio Sampere is a well-known Spanish language school established in 1956. It is also a founding member of IALC (International Association of Language Centers), a member of various chambers of commerce, and it has received the CEELE seal of approval through the University of Alcala. 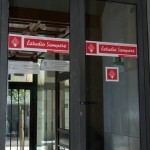 It is also an Associated Instituto Cervantes center, attesting to the high quality of their Spanish courses. All Estudio Sampere Spanish schools offer individual attention in small classes, quality teaching in a friendly environment, qualified Spanish teachers, up-to-date materials, an international atmosphere, flexible starting dates, social and cultural activities and a choice of excellent value accommodations. 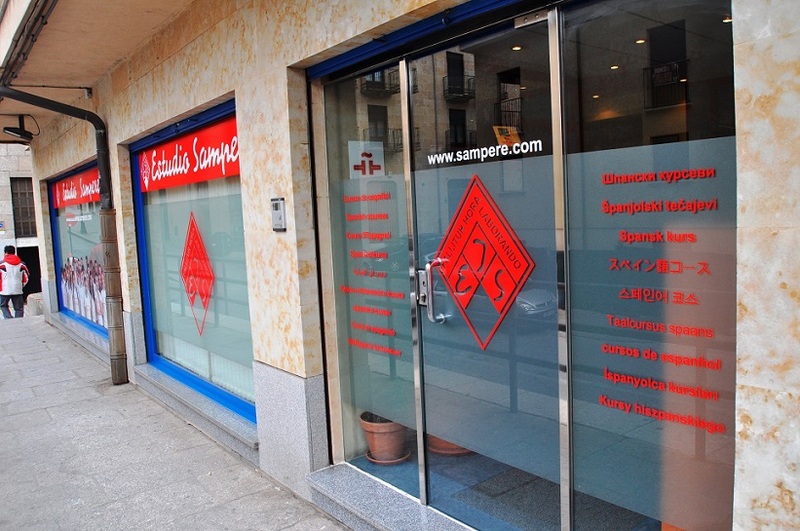 Estudio Sampere is committed to quality – a key factor in their long-lasting success. Their books and teaching material have all been developed in-house, taking into consideration the latest teaching methods as well as the experience of almost 50 years of teaching Spanish as a foreign language. All five schools meet the quality criteria that international organizations expect and demand. 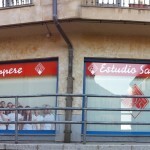 Estudio Sampere has been offering Spanish Courses in Salamanca for over 30 years. 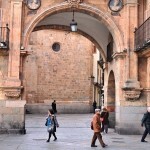 The school is located in a pedestrian area in the center of town just 5 minutes away from Plaza Mayor (Main Square). 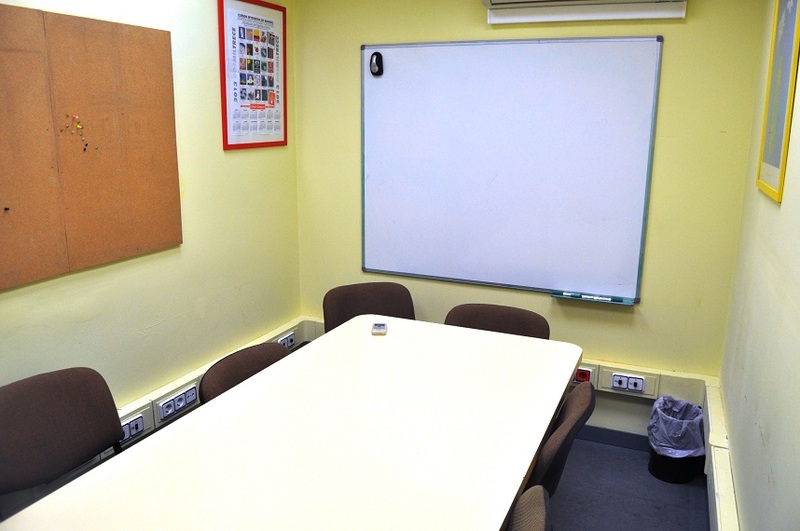 The Spanish Language School premises, occupying the first floor of the building, are air-conditioned and adapted to language learning in small groups. The school has twelve classrooms and a library/video room. It is a small school offering an intimate and supportive family-like atmosphere. Intensive 20 PLUS 5 Spanish Course – Group 9 plus Private lessons — Maximum of 9 students per class in group portion of program. 20 group Spanish lessons per week PLUS 5 One-to One Spanish lessons weekly. The private portion of the course is tailored to each student’s specific needs and can focus on any topic desired such as Business, Legal or Medical Spanish for example. Intensive 20 PLUS 10 Spanish Course – Group 9 plus Private lessons — Maximum of 9 students per class in group portion of program. 20 group Spanish lessons per week PLUS 10 One-to One Spanish lessons weekly. The private portion of the course is tailored to each student’s specific needs and can focus on any topic desired such as Business, Legal or Medical Spanish for example. 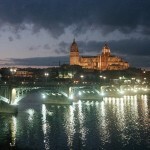 Starting Dates for all group Spanish Courses in Salamanca: ALL LEVELS may start any Monday.!! Airport Transfers: Airport transfer from Madrid airport is available upon request at an additional fee of: USD 140 one way / USD 250 round trip. A full immersion Junior Spanish Language program for Teenagers between the ages of 13 and 18. For full details click here: SUMMER SPANISH LANGUAGE COURSE FOR TEENS. 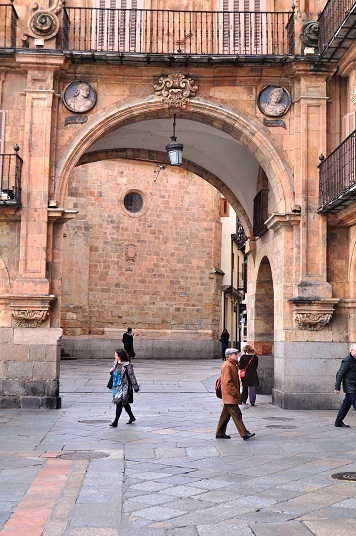 Program for Seniors (50+): 50 Plus Spanish Courses and Culture programs – This special course is designed for senior students, aged 50 and up, who not only want to improve their Spanish level, but also want to spend a pleasant and cultural vacation in Spain. Program includes 20 Spanish lessons during the morning (Mon-Fri), with an extensive program of visits, activities and excursions during the afternoon and weekend. Students will have lessons from Monday to Friday, from 9:00 a.m. to 12:30 p.m.. Students will be placed, according to the placement test, in special groups for this particular program. There are 3 levels available for 50 Plus students: Elementary, Lower Intermediate, and Intermediate. Students with other levels (beginners, upper intermediate and advanced) will join the Intensive Course for the class portion of the program. 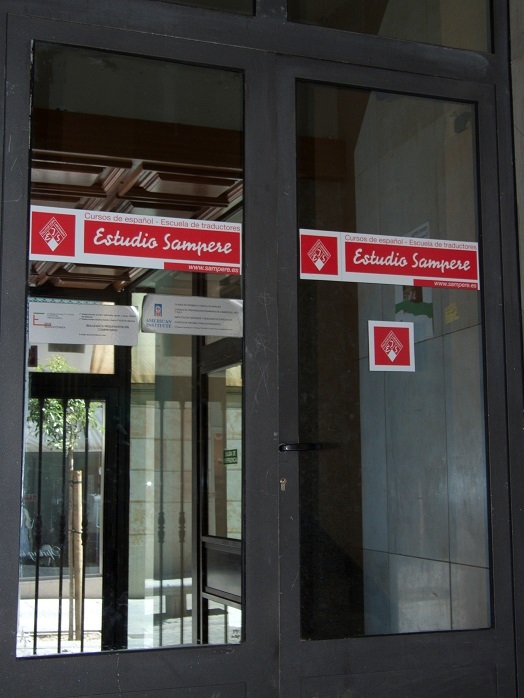 Activities: Estudio Sampere will organize 4 activities per week specially designed for the participants of the 50 Plus Program. 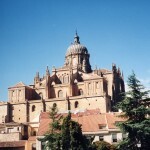 One excursion will take place on each Saturday to a town nearby like Segovia, Zamora, or Toledo. Participants in of the 50 Plus Program will share the bus with the other students of the school. Accommodation: Students will be accommodated in single rooms (full board basis) in Spanish host families. These families have been carefully selected and each one has been visited. Upon request, other accommodation options (Studios, Hotels, Hostels) are also available. 1 week programs: 21 April, 8 September, 20 October. 2 week programs: 14 April, 1 September, 13 October. Prices include: round trip airport transfer from Madrid**, school enrollment fee, 20 Spanish lessons per week, all activities and excursions, host family accommodations and 2 meals per day. One or two week programs: arrival is Sunday and departure is Saturday. 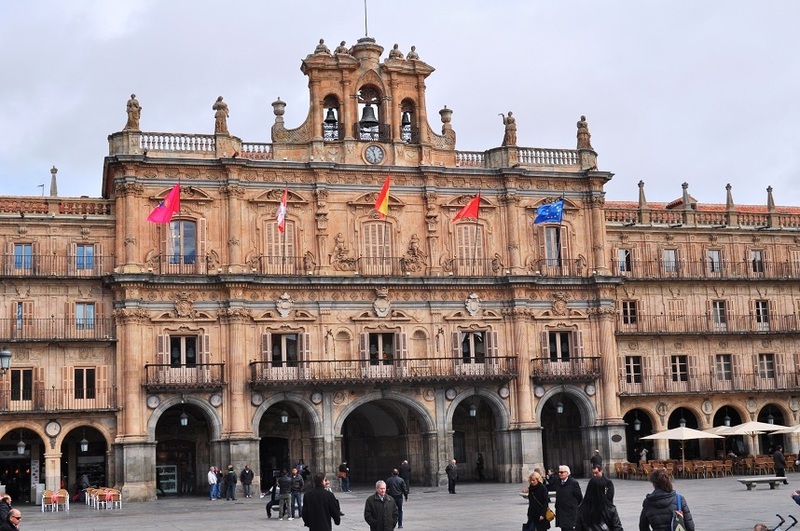 **Important: Transfer Madrid-Salamanca: students will be picked up at the airport and taken to the train/bus station and travel to Salamanca, where our staff will be waiting for them. The same dynamic applies for the return trip from Salamanca. 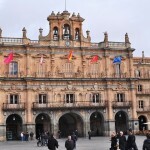 Students going to Salamanca should arrive to Madrid Airport before 6:00 p.m. and departure flight from Madrid Airport should be after 12:00 noon. Transfers for arrivals and departures outside of the program dates and suggested times will incur a supplemental charge of USD 255.00. Host Families: Host Family stay is the most popular choice in all Sampere destinations. You live with a host family, sharing meals and facilities and practicing your Spanish in a traditional and friendly environment. Shared Apartments: Renting a student room in a shared apartment gives you a more independent lifestyle. You share an apartment with two to four other people, usually other Sampere students, with whom you also share certain expenses and the household tasks. Apartments: Apartments are available for individuals or two people booking together. Typical studios have one or two beds, a fully equipped bathroom with towels, kitchenette with refrigerator and other services for an enjoyable and comfortable stay. Hotels and Hostels: Estudio Sampere can recommend hotels and hostels for different budgets in all five destinations. The hotels are located close to the schools. We have worked with our hotels for many years and have special rates in most of them. *Studio, One bedroom Apartment and Hostel prices are approximate and are subject to change without notice! Must be confirmed at time of booking. 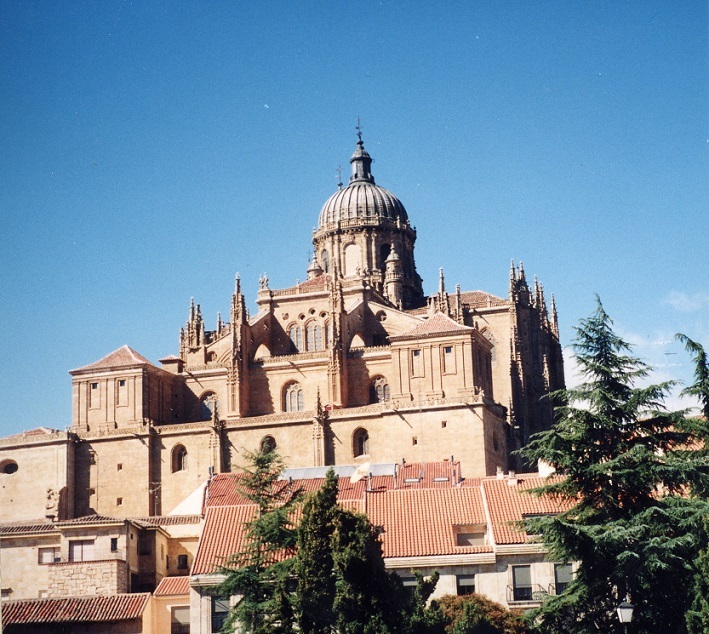 In addition to their full immersion Spanish Courses in Salamanca, Estudio Sampere offers social and cultural activities on a weekly basis. Visits are available to small nearby towns, wineries and horse shows in season. Informal meetings and parties are arranged for socializing and practicing the language in a Spanish environment. Golf, swimming, and horseback riding lessons are readily available. “It was a wonderful experience. The school was excellent. 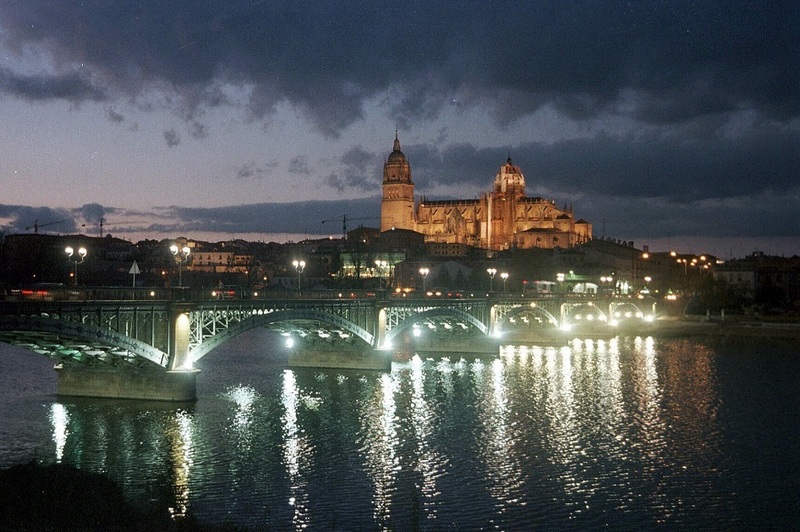 The families I stayed with in Madrid and Salamanca were friendly and accommodating. It was my first time in Spain and I couldn’t think of a better way to spend a whole month immersing one’s self in Spanish culture” – Oscar P., Physician.